As you know, cryptocurrencies operated on a blockchain platform must be mined. The power consumed by a bitcoin network equals Slovakia’s yearly consumption, which is 27.89 TWh. This figure grows month by month. Growing costs of consumed electricity in an expanding network must logically impact the mining. Let’s take a closer look at it. If you want to mine cryptocurrencies, you don’t have to bring a pickaxe. The tool you need is a computer. The era when mining was a job for desktop computers, however, is gone. Nowadays, you need the best graphical cards on the market. If you expected that you might mine a couple of bitcoins with your PC, I have to tell you, that you won’t. Some people may find USB miner as a practical tool. Relevant is the hash-rate expressed in hash/sec. This unit determines the capacity of the graphical card or processor. At the time of writing the article, the total bitcoin network capacity was 10.1 EH/s (one quintillion bytes). Mining includes the execution of mathematic operations used by miners for the verification of the correctness of the network transactions. The goal is to disable the duplication of the same bitcoin in separate operations. Each transaction contains a digital signature (public and private key), timestamp, hash functionality and all relevant info, which is the amount sent. Using an algorithm, miners try to guess a special figure – the correct hash – that later becomes the identifier of the given block which is allocated to a blockchain i.e. mined. One block contains multiple transactions whose limit is derived from the size of a block (in bitcoin 1MB). The limit was set by Satoshi in 2010 to prevent hacking. The enlargement or removing of the limit is a hotly debated issue within the crypto community. 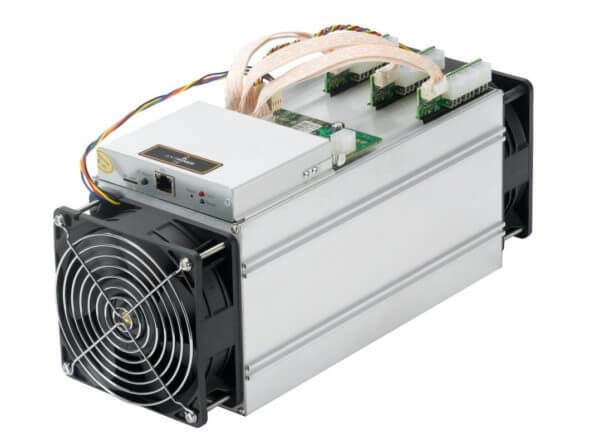 Miners are rewarded in the form of bitcoins for their “offering” of computing power (capacity) and the confirmation of each block. As of present, the reward amounts to BTC 12.50 for each mined block. After each 210 000 blocks, the reward is reduced by half. Next reduction is expected in nearly 3 years. Looking at the figures you may hesitate whether mining of coins still pays off. A good question. The answer is: Nope, it doesn’t. Currently, the mining of BTC is an extremely hardware-consuming effort and, even at minimal fees for electricity, a loss-making business. Everybody can use some calculator (to be found online) to calculate the costs. Competition among the miners is fierce and seeking of a correct hash may take even a year. Fortunately, a solution exists. It is a Czech made solution. In 2010, Marek Palatinus founded a mining pool called Slush, to integrate individual miners with their computing capacities in order to boost their chances to identify and confirm a block. The profit is equally shared depending on the power of the offer. Today there are hundreds of such teams, the biggest ones are Slush, AntPool, F2Pool, BitFury, BW.COM, BTCC Pool, ViaBTC, GBMiners, BTC.com and BitClub Network. Cloud-mining offers you buying a certain share of a hash-rate to automatically receive some reward in your BTC wallet. You don’t have to buy hardware components at enormous costs. For a fraction of the cost, you can acquire part of the computing power of an existing “mine”. This, however, is a tricky business. By the way, do you know what Ponzi scheme means? The infrastructure of Ethereum, Litecoin, Monero, Dash, Zcash and other coins is less developed than the one of bitcoin and as such more profitable. All information about the currencies, the mining process and the efficiency of mining is available here. You should also bear in mind that the value of the cryptos will grow. The rules of mining individual cryptos slightly differ, but the principle remains almost the same as for bitcoin. In a nutshell: As far as we know, mining bitcoin does no longer pay off no matter how big or small the quantity is. There is only one alternative, cloud-mining. We will talk about it next time.